It is my great pleasure to announce the winner of 7 World’s Continents Photo Challenge - Asian Sunday. I would like to say huge thank you to all the participants for their great entries. The number of entries yesterday was very good with many high-quality images so it was extremely hard to decide on the winning one. I encourage you to check the entries as they really were all stunning. You can see all entries and participants in this post: 7 World’s Continents Photo Challenge - Asian Sunday week #43 - the absolute winner takes 200 SBD! This is my entry for today contest :) I just went here last week, and it's so beautiful. 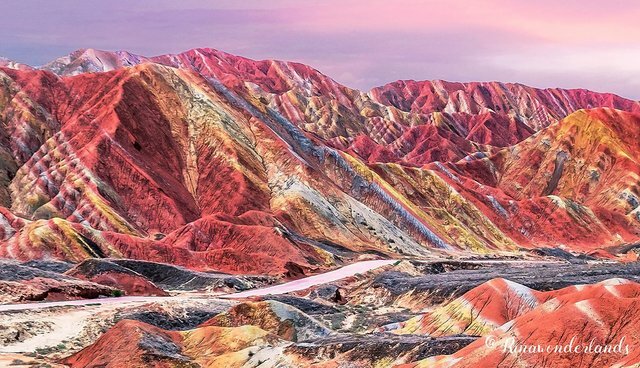 If you ever want to visit a rainbow mountain in Asia, you should check this one. This rainbow mountains are part of the Zhangye Danxia Landform Geological Park in China. Layers of different colored sandstone and minerals were pressed together over 24 million years and then buckled up by tectonic plates. 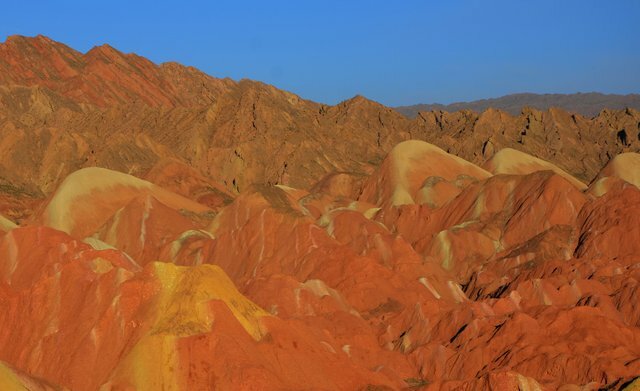 It's similar like Vinicunca mountain, in Peru, both has different layers of sandstone colors.
. @rinawonderlands amazing entry from China is qualifying for the weekly challenge where it will be competing against the upcoming winners of the week. ColorChallenge - Indigo Saturday - @linco in 7 World's Continents Photo Challenge! Congratulations @rinawonderlands ... beuatiful picture... Writing, of course, is writing, acting comes from the theater, and cinematography comes from photography. Editing is unique to film. You can see something from different points of view almost simultaneously, and it creates a new experience. Thank you @sam0014 , yes different point of views creates new experience.. I knew it ;) this one had potential!!!! Love it so much. @rinawonderlands you got yourslef another follower! Everyone can take such a picture here. 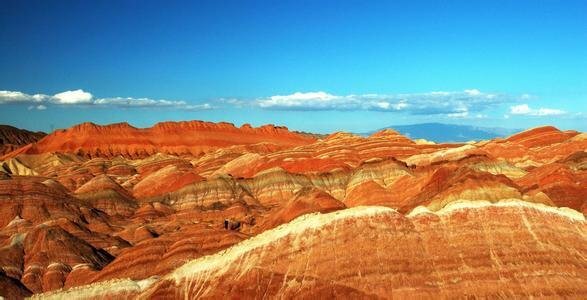 Zhangye Danxia landform, located in Zhangye City, the middle section of Hexi Corridor, Gansu Province, China. Are those your personal images? I certainly have my doubts. If that is the case stop spamming my blog with plagiarized images. The contest is for talented individuals that take some amazing images. No space for plagiarism!!! In that beautiful place, I took a lot of pictures and many more beautiful photos. However, I am not here to participate in the photography competition, but to introduce the beauty of that place. The most beautiful moment there is the autumn morning. Is this place very beautiful? There are many fixed viewing platforms in this tourist attraction, and everyone can take beautiful photos. wow wonderful I couldn't get enough from looking , what an eyesight feast.